THE ERA, the music, the men - the Rat Pack of Frank Sinatra, Dean Martin, Sammy Davis Jr, Peter Lawford, and Joey Bishop, have become a byword for cool and male sartorial style. The main members of that group - Sinatra, Martin, and Davis- were all celebrated singers whose songs remain deep in the public conscience, now that era of 1950s and 1960s American suave glamour is coming to Seven, Bridge Street, when leading tribute act, The Rat Pack Live, play there on Friday February 17 at 8pm. 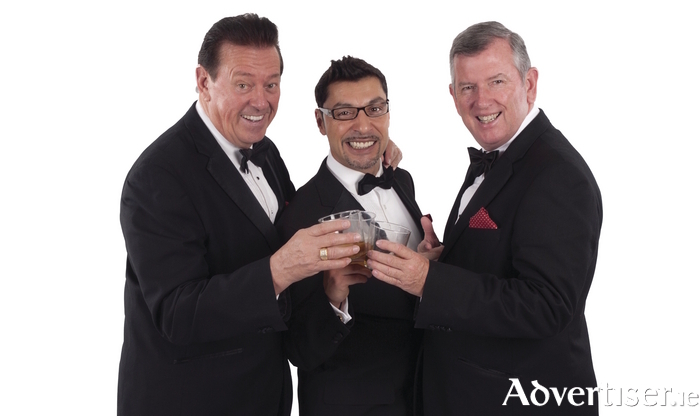 The Rat Pack Live has been successfully running for more than five years, selling out venues across Europe with the trio of Martin Joseph, Dave Lee, and Thomas Henry, capturing the personality and charisma of the original characters, in this two hour show. Tickets are €12 from www.sevenbridgestreet.ie or on the door on the night.